Low cost interferometer with simple manual controls. 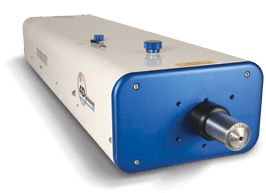 The PhaseCam® 4020 is a low cost interferometer featuring vibration-immune measurement and simple, manual controls for testing focal optical systems such as large concave telescope mirrors and lens systems, and for multi-segment mirror alignment. It can also be used to test smaller afocal components such as flat mirrors and collimators. A stabilized HeNe laser (632.8 nm) provides excellent stability, while the high speed, 1K x 1K phase sensor makes it is easy to measure moving components, even in challenging environments. Numerous accessories and options, including different operating wavelengths and a 4 mega-pixel phase sensor, make this low cost interferometer an incredible value.